To kick-off the new podcast, 'Masters of Scale,' Reid Hoffman chats with the co-founder of Airbnb, Brian Chesky, on creating the perfect experience for a handful of customers. Before Airbnb had hosted more than 150 million guests in 65,000 cities it understood a simple idea: To scale, you need to do things that don’t scale. This theory kicks off Masters of Scale, a 10-episode podcast series hosted by Reid Hoffman, the co-founder of LinkedIn and partner of Greylock. Known as the “Startup Whisperer,” Hoffman will explore counterintuitive theories for growing business through conversations with top leaders such as Mark Zuckerberg, Reed Hastings and Sheryl Sandberg. 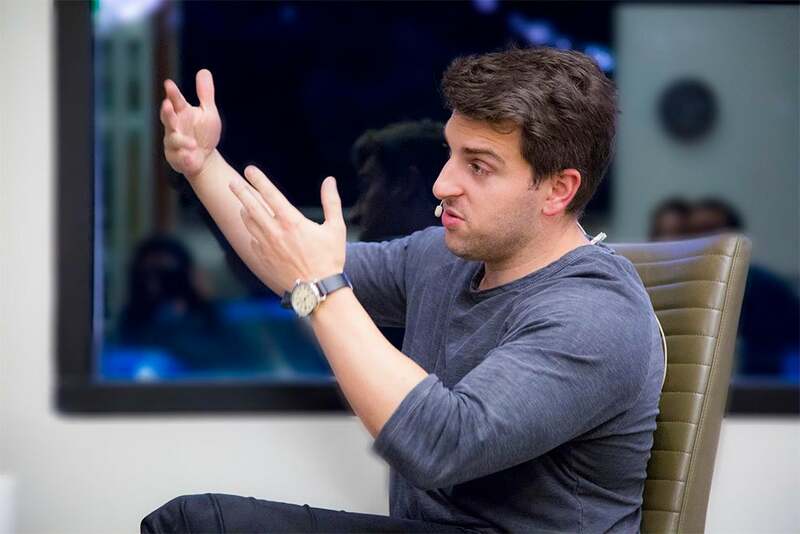 In this episode, Brian Chesky explains how Airbnb struggled for traction, booking just 10 to 20 guests in its early days and forcing its founders to rack up thousands in credit card debt. In one shaky moment, the duo even made and sold their own breakfast cereal. The company’s turning point came when the founders traveled to New York to talk to hosts in person. The two went door-to-door, staying with hosts, asking questions, gathering insights and listening to feedback. For more anecdotes and lessons from Airbnb’s surprising journey, listen to the debut episode of this new series. Listeners can also access new episodes on Apple, Google, Stitcher and other streaming platforms.